The final covers are in on the new two Wild Cards books in the pipeline, and I thought I'd share. LOW CHICAGO is the second volume in our "America" triad, and will be the twenty-fifth volume in the overall series (at least in the US). This one will feature stories from Wild Card veterans John Jos. Miller, Melinda M. Snodgrass, Kevin Andrew Murphy, Mary Anne Mohanraj, and Paul Cornell, plus newcomers Marko Kloos, Saladin Ahmed, and Christopher Rowe. Featured characters this time around will include John Nighthawk, Noel Matthews, Natya, Will O' Wisp, Croyd Crenson, Abigail the Understudy, Khan, Meathooks, and Hardhat. The cover art is by Michael Komarck. LOW CHICAGO is scheduled for a hardcover release on June 21. Only month later, in August, Tor will be reissuing ONE-EYED JACKS, the eighth volume in the original series, which has been out of print for more than twenty-five years. The original lineup for that one featured Melinda M. Snodgrass, Walton (Bud) Simons, Chris Claremont, William F. Wu, Lewis Shiner, Victor Milan, Stephen Leigh, and John Jos. Miller... but we're also adding two brand new stories, by Carrie Vaughn and Kevin Andrew Murphy, so the 2018 version of JACKS will be even better than the 1991 edition. The cover for this one is by David Palumbo. 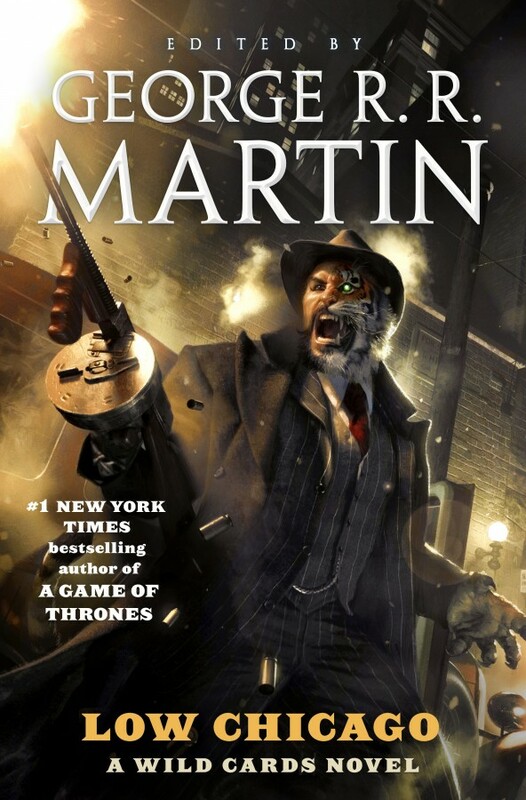 ONE-EYED JACKS will be released on August 28 in trade paperback. ((Comments open, for discussion of Wild Cards ONLY. Off topic comments will be deleted)). I would say I would give my right hand to be as talented an artist as Michael Komarck, but I think you need hands to do it properly. Have really loved seeing Komarck's art on the reprints, and could certainly see more in the future, but Plumbo's a fine artist (with a rather illustrious family!) and I quite like how he's depicted The Oddity, going with the mask as a contrast to Truman's old cover. Makes him much more mysterious. The original edition of Volume 8 was always a little on the slender side, so I'm glad this one will be getting beefed up with new content. Any hints as to what/who will be featured in the new stories? I truly appreciate that when reissuing the older Wild Card volumes - besides packaging them with that gorgeous cover art - you've been inserting a couple of extra stories as sweeteners for us long time readers of this series. I hope by late August, Oddity will be obscured by a new gold star which will state "Series Premiere Fall 2018" or words to that effect. Slightly related, but have there been any updates about the Wild Cards TV series? My 2018 slate is looking pretty empty. All old Wild Cards books? 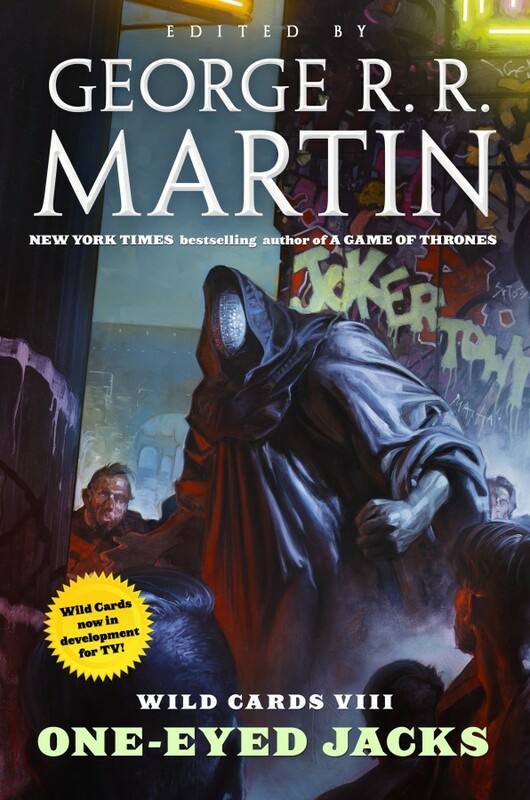 Sorry if this is a repeat question, but are all of the old Wild Cards books going to be re-released as trade paperbacks with new cover art? Re: All old Wild Cards books? That's the plan, but at the moment we are only under contract through volume twelve. So after ONE-EYED JACKS, we will be doing JOKERTOWN SHUFFLE, DOUBLE SOLITAIRE, DEALER'S CHOICE, and TURN OF THE CARDS. After that, it will depend on sales. I especially like the first cover, the human / tiger hybrid, but why does it say in big letters "bestselling author of A GAME OF THRONES". I thought that was a TV show? The tv show is GAME OF THRONES. My novel is A GAME OF THRONES. That Oddity cover is amazing! And I'm excited to see more of Nick Williams! I was excited to be able to write him! "Wild Cards now in development for TV"
Tthis fills me with much joy. Are there any plans for audio production of ONE-EYED JACKS (and, hopefully, of all the other ones)? WILD CARDS audiobooks are one of the best I've listened, thanks to its brilliant cast and terrific authors!